MSI brings its RTX-powered gaming laptops to India. MSI has launched new gaming laptops in India under its G-series line-up. It has also unveiled new laptops under its P-series for creators. The new models are currently available on Flipkart and at MSI exclusive stores in major cities across India like New Delhi, Bengaluru, Pune, and Kolkata. The price of the new G-series gaming laptops starts at Rs 79,990 and goes all the way up to Rs 3,99,990 while the price of the P-series laptops starts at Rs 77,990. According to a recent report by Gadgets 360, the new laptops launched under the G-series include the GT75 Titan, GS65 Stealth Thin, GE75 Raider, and GL73. The GT, GS, GE, and GL models in MSI’s new line-up will come with NVIDIA GeForce RTX graphics. New models under the Taiwanese company’s P-series, where P stands for Prestige, include the P65 Creator, PS42, and PS63. MSI had officially announced these models at this year’s CES in Las Vegas. The highest variant of the MSI GT75 Titan comes with an 8th Gen Intel Core i9 CPU, up to 32GB of RAM, and up to 1TB of PCIe SSD storage. The display has a maximum resolution of 3840 x 2160 pixels. Rendering graphics on it is an NVIDIA GeForce RTX 2080 GPU with 8GB of GDDR6 vRAM. Its price is a staggering Rs 3,99,990. 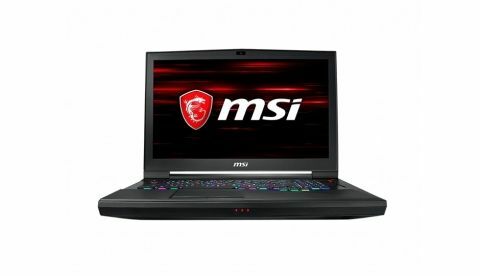 The highest variant of the MSI GE75 Raider, on the other hand, comes with an 8th Gen Intel Core i7 CPU, NVIDIA GeForce RTX 2080 GPU, 16GB of RAM, and up to 512GB of SSD-based storage. Its price starts at Rs 1,94,990. The highest variant of the MSI GS65 Stealth Thin, costing Rs 2,09,990, gets an 8th Gen Intel Core i7 CPU, NVIDIA GeForce GTX 2070 GPU, 16GB of RAM, and 512GB of SSD storage. The GL73 comes with a similar configuration but gets an NVIDIA GeForce RTX 2060 GPU, 16GB of RAM, and 256GB of SSD storage for Rs 1,58,990. Under the company’s new P-series laptops, the P65 Creator is the most sophisticated. It comes with an 8th Gen Intel Core i7 CPU, NVIDIA GeForce GTX 1050 Ti GPU, up to 32GB of RAM, and 512GB of SSD-based storage for Rs 1,59,990. The PS63 and PS42 come with a 15.6-inch and 14-inch display respectively. The highest variant in both models comes with an 8th Gen Intel Core i7 CPU, NVIDIA GeForce GTX 1050 with Max-Q (or GeForce MX250) GPU, 16GB of RAM, and 512GB of SSD storage. The PS63 starts at Rs 99,990 while the PS42 starts at Rs 77,990.